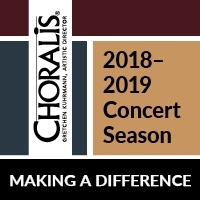 This concert season, Choralis will be Making a Difference in and beyond our community by supporting a featured charity through each of our concerts. Our audiences will be invited to make various in-kind donations or purchases at our concerts and representatives of the charities will be available in the lobby after the concert to discuss their work with interested audience members. The featured charity and form of support for each concert are highlighted below. “Messiah Sing-Along Performance” will assist FACETS, which provides emergency shelter, food, transitional housing, and other services to those suffering the effects of poverty. Please bring a food or hygiene item donation for the food pantry or FACETS hypothermia shelter at Fairfax Presbyterian Church and receive discounted admission to this event as a thank you. Sunday, December 2, 2018 at 2:00 pm at Fairfax Presbyterian Church, Fairfax, VA.
“A Classic Brass Christmas” concerts also will support FACETS in its programs to provide emergency shelter, food, transitional housing, and other services to those suffering the effects of poverty. Proceeds from the conducting raffle at each concert and concert sales of our awarding-winning CD In Winter’s Arts: Seasonal Music of Bob Chilcott all will go to FACETS. Friday, December 7, 2018 at 7:00 pm at The Church of the Epiphany, Washington, DC and Saturday, December 8, 2018 at 7:00 pm at Providence Presbyterian Church, Fairfax, VA.
“My Song is Love Unknown” concert will support the Lions’ Eyeglass Recycling Center of Northern Virginia in its work to connect unneeded eyeglasses to those who can not afford to purchase them. Please bring any unneeded prescription eyeglasses or sunglasses (adult or child size) to the concert for donation.Saturday, March 9, 2019 at 5:00 pm at The Falls Church Episcopal Church, Falls Church, VA.
“Mendelssohn’s Elijah” concert will support Charity: Water, which provides access to fresh drinking water in developing countries around the word. All proceeds from concert sales of bottles of water or Charity: Water wristbands will go to the charity. Sunday, June 2, 2019 at 5:00 pm. The National Presbyterian Church, Washington, DC.